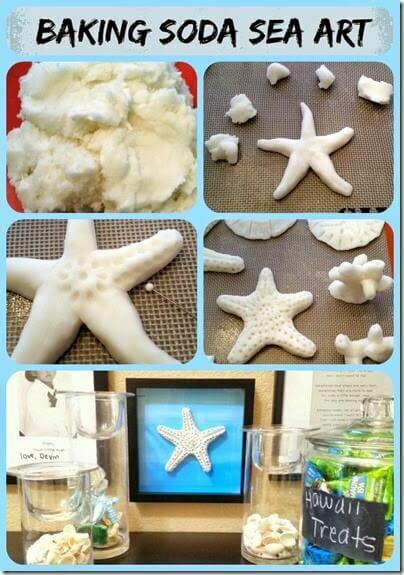 Make baking soda dough to allow kids to make realistic starfish to dry and keep. We love experiment with different doughs – the kids love it! I was so impressed with these beautiful star fish that My Pinterventures came up with I knew my kids (and yours) would love them too. Don’t forget to get the Baking Soda Dough Recipe.